Chris, 29, marketing professional from Texas. 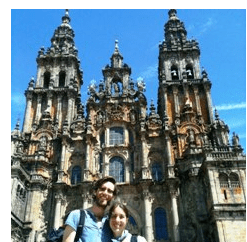 This TEFL Vourse graduate worked as a TEFL Teacher in Madrid 2010-2013. The plan was a year in Madrid. That’s not just what my wife and I told our friends and family; no, that’s what we prepared ourselves for – mentally, emotionally, and monetarily – over the course of months of preparation. It was a big decision, too, and not just because it meant leaving comfortable office jobs and the comfort of the familiar, but also, and for the first time, we’d be living internationally. 12 months was an ambitious stretch of time, a dramatic era for which we steeled and braced ourselves… and then almost immediately decided to extend our stay. It’s funny to think now just how serious we were in the weeks before moving and how easily we made the decision to stick around once we got here. It was such a natural and casual decision to turn one year into two and, if truth be told, one we came to after only a few weeks in Madrid. ‘We can get used to this,” we thought. And we did. Because two years then became three. In retrospect, staying for only a year would never have suited us. Once you get a taste of the life in and around Madrid you start to crave more. You get used to the rhythm of the city, the food, la marcha, and even the insane schedule. The you do a few day-trips and get an itch to venture out even further; taking advantage of the ABUNDANT vacation time to see Europe for a fraction of what you’d pay for a flight from the States. 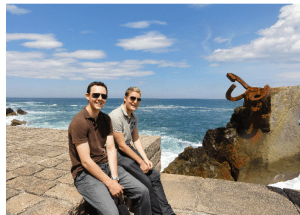 You build your own network, too, which includes Spaniards (of course) as well as other likeminded international travelers or expats – in other words, fun people to be around. I think TtMadrid’s TEFL course can take a huge part of the credit for keeping us in Madrid. They made every part of the transition so easy that we were protected from a lot of the hardships that moving to a new country can bring with it. From day one we were set up for success, with a great network of fellow teachers, a solid placement program that made finding employment while studying a cinch, and personalized help with every detail (including the mundane ones, like setting up cell phones and opening a bank account). Needless to say, that was a great introduction to life here in Spain, and one that led to three of the best, and most surprising, years of our lives. 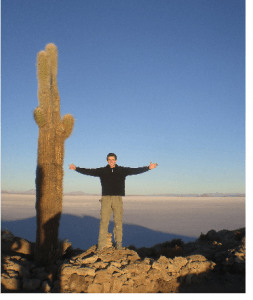 My story really starts in 2009, when, having finished university about half a year before, I travelled around South America for seven months with a friend. I hadn’t had a gap year like so many Brits of my generation, and I so somehow felt entitled to a long period abroad. I also had a niggling regret at not having studied a language as part of my degree. In fact, I hadn’t studied Spanish since my GCSEs, but I still naively thought that by the end of half a year in Spanish-speaking countries I’d have picked up enough to be somewhat satisfied. Needless to say, this wasn’t the case, but the trip did ignite my desire to learn seriously, and the thought of living abroad became deeply implanted in my mind from then on. A year of monotonous admin work did nothing but reinforce this yearning for something new and foreign, and the idea of teaching English abroad appealed to me. So, at the age of 23, I set off to do my TEFL course with TtMadrid (and to hopefully learn some Spanish for real this time). The plan was to give life in Madrid a go for a year, and if I liked it, to stay longer. 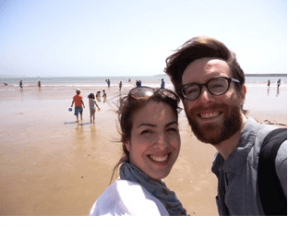 Natasha and the other wonderful people at TtMadrid made the first few months as painless as possible (I was used to being away from friends and family, but not working quite so hard! ), and soon I felt just as at home teaching English as I did eating a roast dinner on Sundays. Of course, it wasn’t all work, and I was enjoying all that Madrid had to offer: sunny weather, great food, and fiestas aplenty. Best of all, I was sharing this with a group of friends that I had met on the TEFL course, many of whom, like myself, have stayed a lot longer than first imagined. Before I came to Spain, I don’t think I’d realised just how curiously diverse the country is. Many of my students were quick to point this out, and the first year passed pretty quickly as I interspersed visiting recommended places with playing host to family and friends in search of a bit of Spanish sun. Importantly for me, too, I was finally studying Spanish for real, and I was delighted to see my level rise and rise. Naturally, a year was never going to be enough, and my decision to stay – aided by the still unattractive economic situation in the UK – was a real no-brainer. I continued working with the same company (teaching employees of Airbus), and began to really feel settled in my new home. I lived near TtMadrid, and though my visits were becoming less frequent, they were always available to help with whatever I needed, be it teaching materials or much-valued advice. 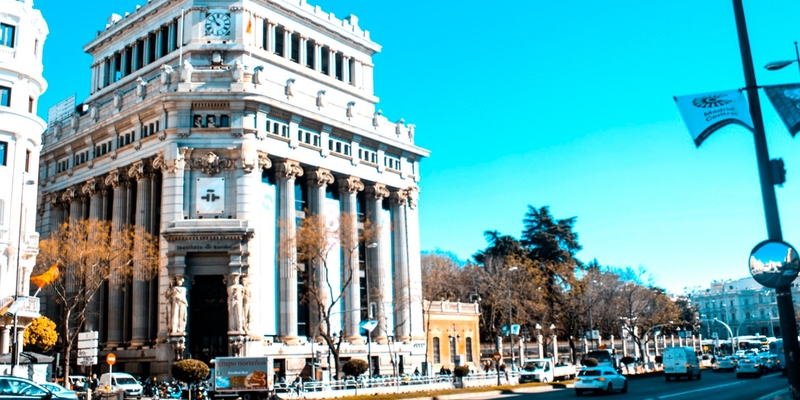 It was easy to get used to the life of a TEFL teacher in Madrid – 4-day weeks, evening beers on the terrazas – and the second year passed by incredibly quickly. The hard part was perhaps the uncertainty. Would I stay another year, or was it time to go back to England? Events at home, like my brother getting married, made me begin to consider such a return. But I still didn’t feel like it was time. I wanted to keep learning Spanish, get more teaching experience, and visit more places. So I stayed, though this time with a fairly high certainty that my third year would be my last. I changed jobs. Teaching English to adults was fine, and often fun (many students are now friends), but if I wasn’t going to change my location I felt I wanted something else to change. So I did what I had previously had no desire to do and began to teach as a language assistant in a Spanish secondary school. Now in June, the school year is coming to an end, as is my time in Madrid. Though the kids could sometimes be a challenge, teaching at the school has been great fun, and I feel a pang of sadness each time I tell a teacher or student I won’t be back next school year. Some people consider a few years (or often less) in a place to be enough to really ‘do’ it. Though I’m leaving, Madrid, and Spain, is certainly not ‘done’ for me. My list is still long and incomplete, and I’m sure I’ll be back again one day, doing things I never got the chance to do, and repeating many that I did. If I could go back and tell my 23-year-old self that I’d stay in Madrid for three years, I think I’d be quite surprised. Looking back now, I don’t think anything less would’ve done.